thinking collaboratively about what we want the future to look like. To co-design a monitoring program to better understand the social and ecological causes and consequences of shrub expansion into the conservation grassland. We accomplished two of our three goals, and made progress on the third. 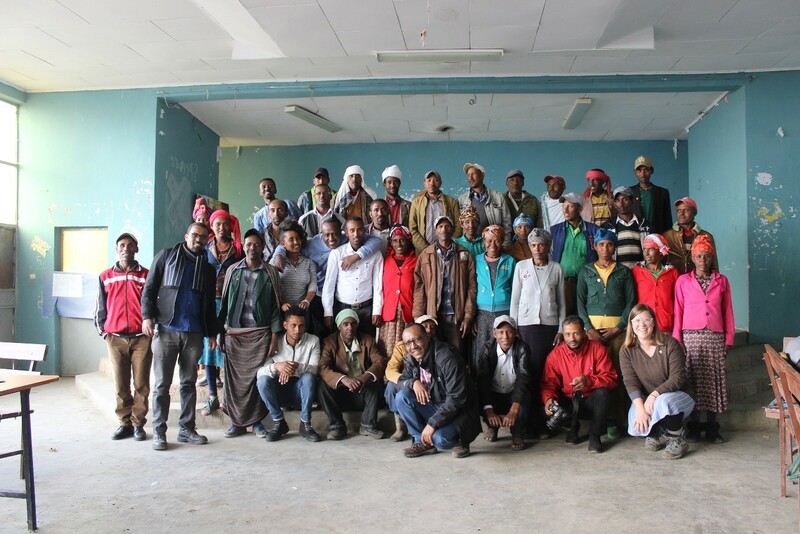 Overall, we left the workshop feeling excited about the future of Guassa – after years of preparation and relationship building, we knew this was the beginning of a truly collaborative research project with great potential to benefit the Guassa area both socially and ecologically. 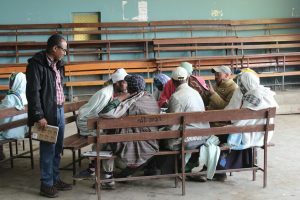 There are several distinct groups of people working to better understand and manage the Guassa area, and we wanted to use this workshop to bring these groups closer together so that we could make decisions and take actions that complemented each other. “No one has asked us what we want them to research before”, one resource user said, “We have many ideas – we know what needs to be researched.” The resource users made up the largest group at the workshop at 27 people, and the final decision-making power over the Guassa area falls to their organization, the Guassa Committee. And yet, they have very little control over who conducts research in the area – and they almost never receive the results of that research. “We know her [Cara] because she pays us when we participate. Other scientists don’t pay us when they ask us questions.” The intellectual and economic value we placed on resource user participation helped us stand out from other researchers, and the resource users enthusiastically supported our continued collaboration because of this. The conservation managers also look forward to our continued work together – “We are still learning much about the ecology of Guassa…we need to know more about the ecology and not just the economics of Guassa”. 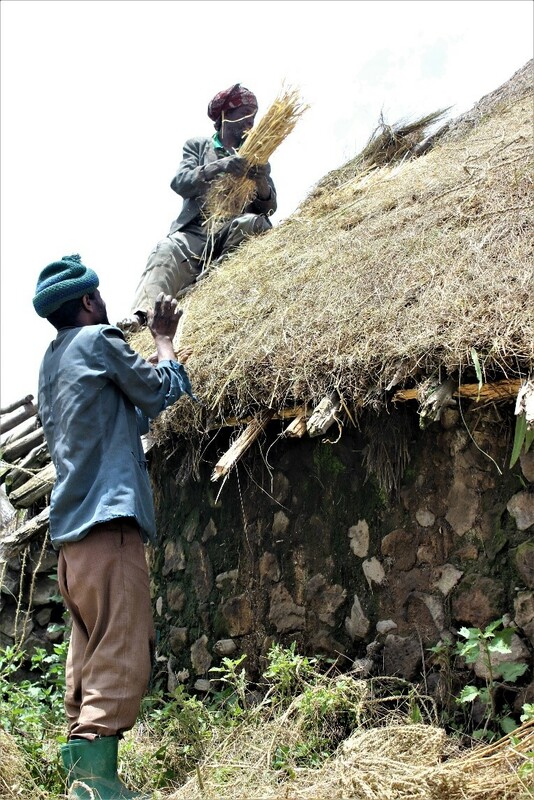 They explained that resource users tended to focus on how much money they could make by selling the guassa grasses, rather than trying to understand how the grass supported different wildlife populations, such as the endangered Ethiopian wolf. Having ecologists attend regular meetings would give them an opportunity to learn more about the ecology and present results and ideas with confidence to the resource users. Finally, the local administrators were pleased to see the map products we discussed during the workshop – “These [maps] will help with our regional planning efforts”, one official told us. Throughout the two-day workshop, these groups came to better understand why we wanted to do research in Guassa and what varied benefits it could bring them. Similarly, we learned more about how local support can help us conduct high-quality research with policy-relevant outcomes. We expect these relationships will continue to grow for many years to come. In order to support collaborative research and decision-making, we conducted scenario planning exercises to ensure that all members of these groups understand each other’s goals and visions for the future. 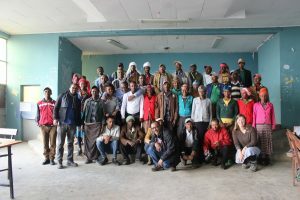 We worked in small groups, with three groups of local resource users and one mixed group made up of conservation managers and local administrators. These conversations started off focused largely on identifying threats to the conservation area, and we gradually encouraged people to think about opportunities for the future as well. We discussed these threats and opportunities as a large group, elaborating on each of them and how they might interact to produce various desired and undesired future conditions. We then asked each small group to identify the top five most uncertain aspects of the future of Guassa, with the idea that these would be areas where research, monitoring, and evaluation could have the greatest impact on reducing uncertainty and improving sustainable management. At the end of the workshop, we decided we were not quite ready to design and implement a community-based monitoring program in Guassa – though it was a relief to hear that all participants agreed this was a necessary next step. 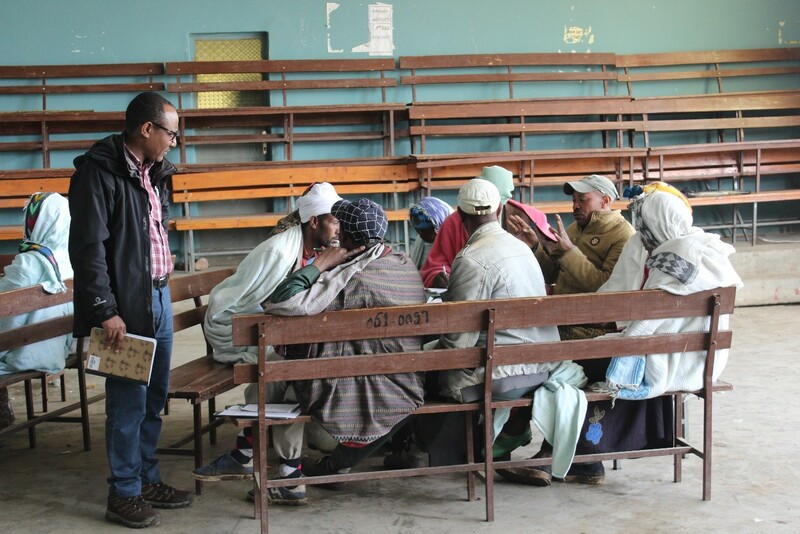 Bikila and Cara had invited a PhD student from Addis Ababa University, Shamble Alemu, to attend the workshop to see if he would like to work on this monitoring program with the community over the next 3-4 years. Shamble agreed this was an ideal place to conduct his dissertation research, but he needed more time to familiarize himself with the region before he felt comfortable recommending a design for the monitoring. While resource users reminded us that the shrub encroachment was an urgent issue, they agreed it was better not to rush into a decision with inadequate evidence. After much discussion, we agreed to meet again in January 2019 to design and begin to implement this monitoring program. Although this goal was not completed, we feel that this workshop allowed us to lay the necessary foundations to accomplish it at our next meeting. Shambel is now developing his PhD proposal, and he will begin his coursework at Addis Ababa University. If our grant proposals are successful, he will begin his fieldwork in Guassa following the January 2019 workshop.